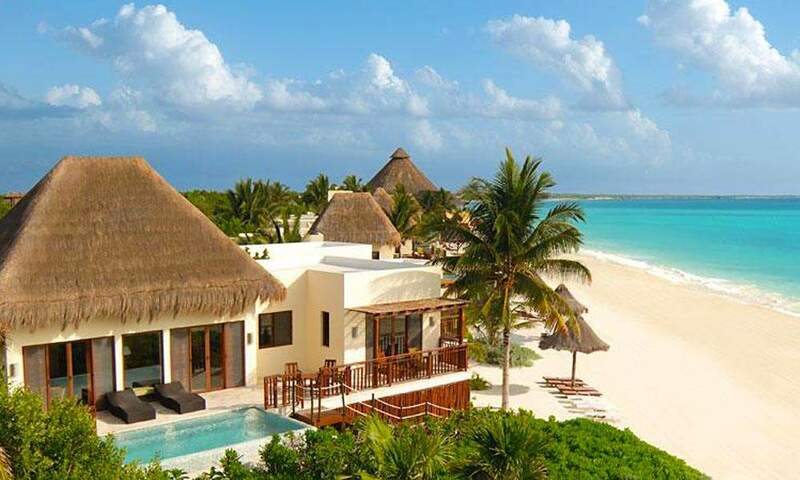 A honeymoon at Fairmont Mayakoba in Mexico offers luxury accommodation, a beautiful white sand beach and unspoiled stunning views of the Caribbean se. 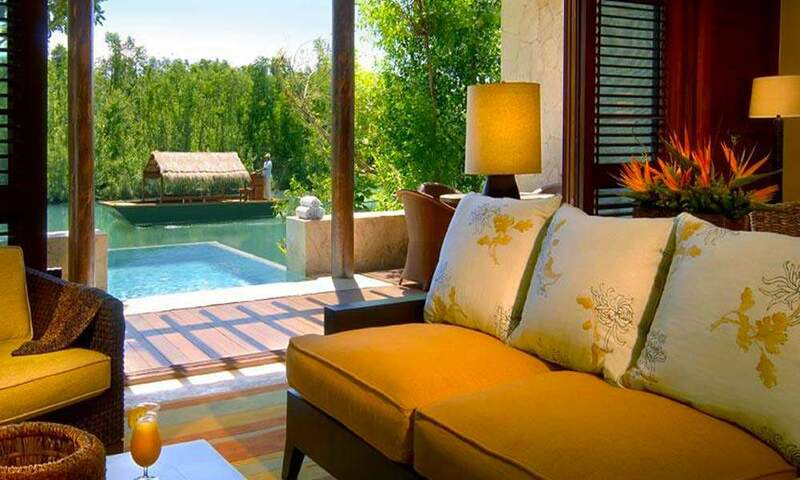 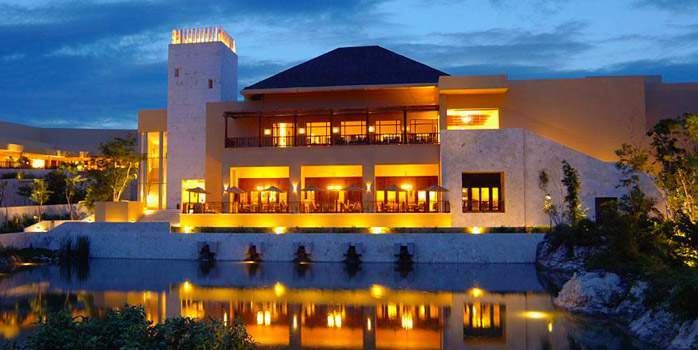 The luxury Fairmont Mayakoba resort is situated within 240 acres of tropical forest intersected by crystal clear waterways and surrounded by a pristine Caribbean shoreline, 40 miles south of Cancun, near the town of Playa del Carmen, on the Riviera Maya. 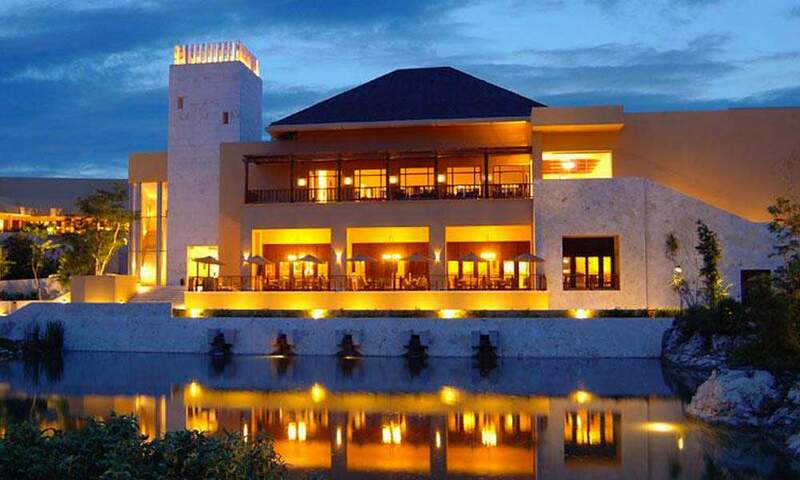 Known as the "Venice of the Caribbean", the majority of the 401 exquisite rooms and suites at the exclusive AAA 5 Diamond resort feature private entrances, spa-style bathrooms and furnished balconies or terraces with views over the tropical forest, beautifully maintained gardens, or the azure Caribbean sea. 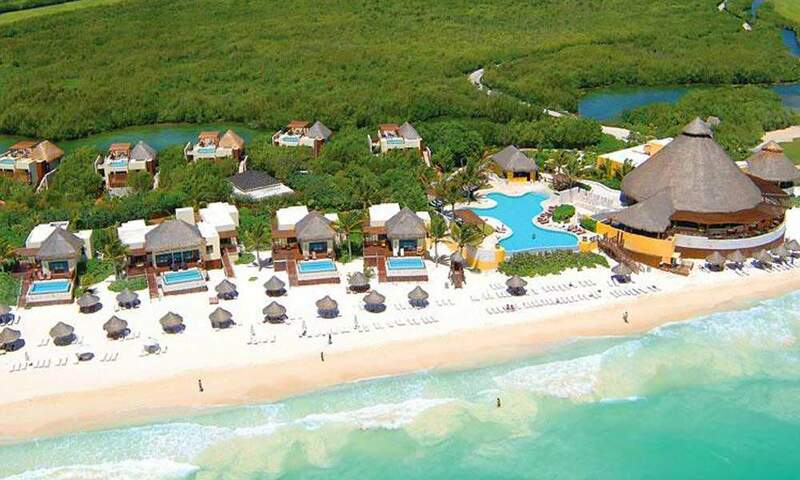 The stunning white sand beach at the Fairmont Mayakoba is reached via a pathway across the mangrove and gentle dunes. 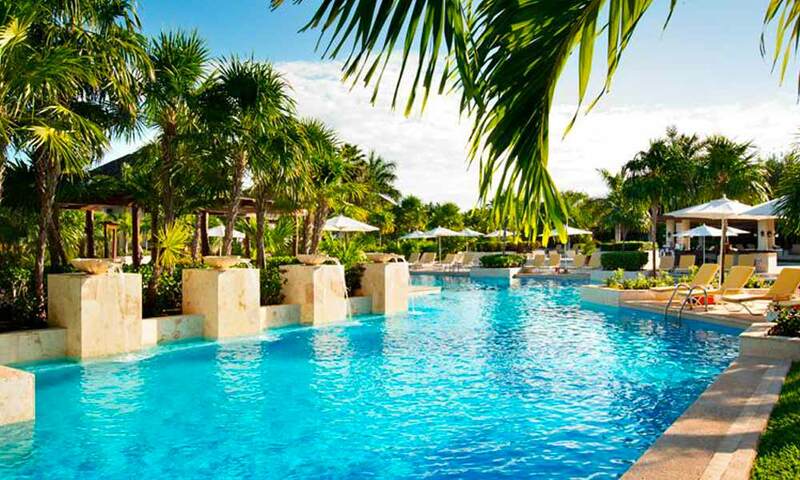 There are five swimming pools throughout the resort including a 10,000 sq. 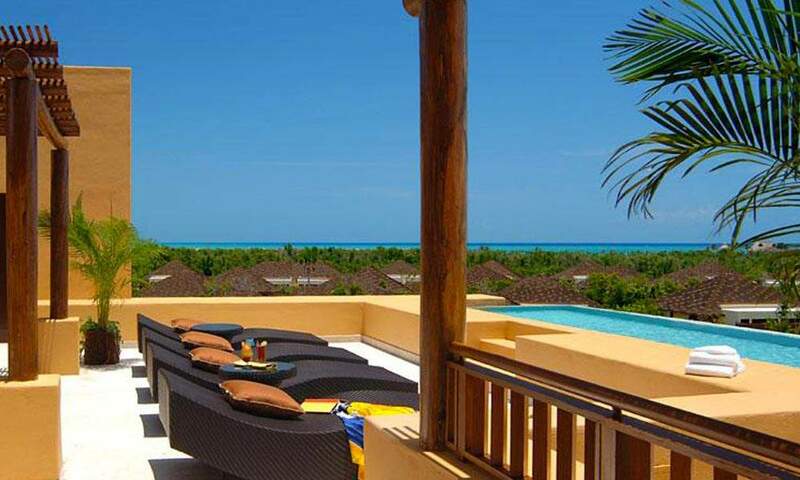 ft. free-form pool and waterslide, a children's play pool, and an adults-only infinity edge pool overlooking the lagoon. 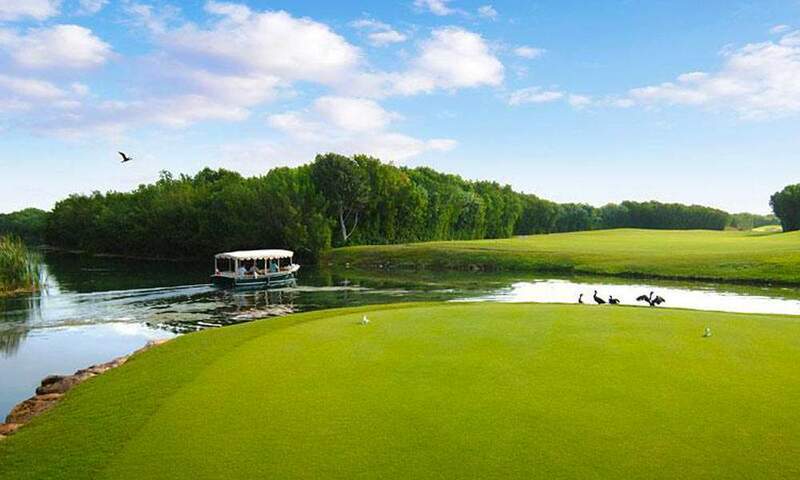 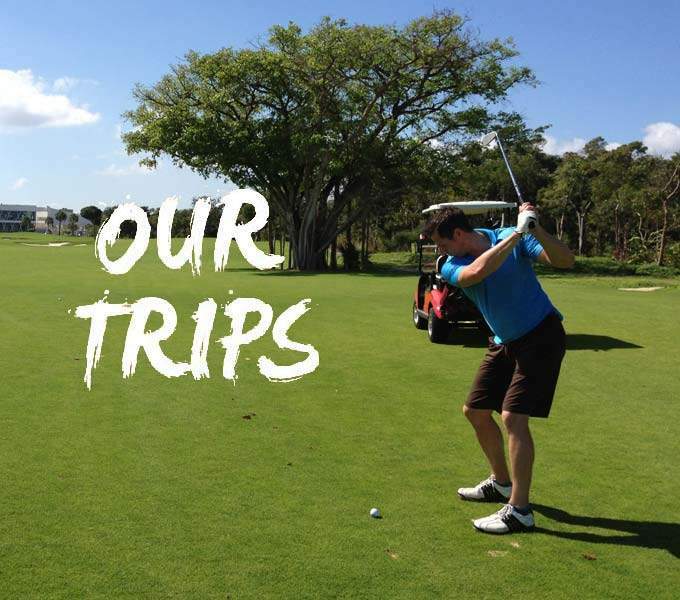 Those who want to hit the greens will find fun and challenge at El Camaleón Golf Course (host to the only official PGA TOUR event in Mexico); while those who want to improve their swing can book lessons at the Jim McLean Golf School.